The ‘School House’ is a detached two storey dwelling house circa 1930. It is situated to the southwest of the Edmonton County School. It is part of the overall school complex but sits in its own demise and garden adjacent to the school. The house has been used to provide ‘on site’ accommodation for the school caretaker, but is no longer required for this use and has been unoccupied for a number of months. Teacher recruitment, particularly young and recently qualified teacher recruitment, is becoming increasingly difficult due to the high cost of property and rent for accommodation. 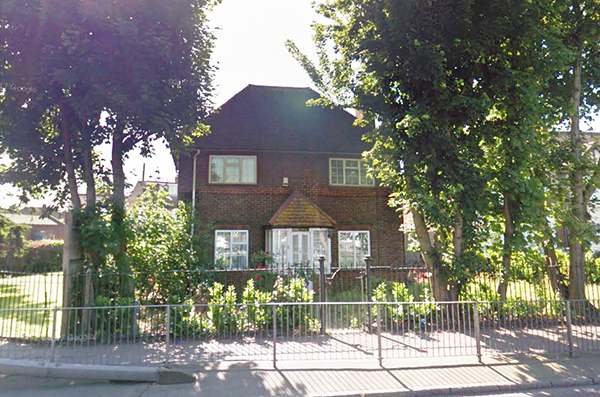 The proposal is to convert and refurbish the house to provide affordable accommodation for newly recruited teaching staff at the Edmonton County School. The plan is for the accommodation to be managed and let by the school. 4 no. bedroom spaces will be provided, each with their own ensuite bathroom. The kitchen and living spaces and garden will all be shared.